Quick summary: Bees pollinate at least a third of everything we eat and play a vital role in sustaining our ecosystems, therefore they need to be valued and protected. In this lesson, students find ways to address the threats faced by bees and share the solutions they find with the class. 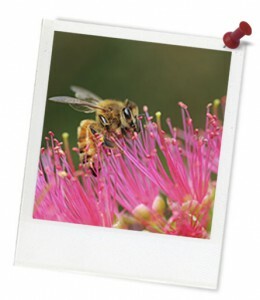 They will adopt a research strategy to use when engaging in an online search to find out about how to be bee friendly. In doing so, students will find out about ways that we can mitigate the risks that bees face, and help bees to help us. What can we do to be ‘bee friendly’? How can we use the internet to find information? How can we share a ‘bee friendly’ message with people? Cross-curriculum priority: Sustainability OI.2, OI.6, OI.7. Relevant parts of Year 5 English achievement standards: When reading, students encounter and decode unfamiliar words using phonic, grammatical, semantic and contextual knowledge. Students use language features to show how ideas can be extended. They develop and explain a point of view about a text, selecting information, ideas and images from a range of resources. Relevant parts of Year 5 Science achievement standards: They analyse how the form of living things enables them to function in their environments. Relevant parts of Year 5 HASS achievement standards: They describe factors that influence their choices as consumers and identify strategies that can be used to inform these choices. Relevant parts of Year 6 English achievement standards: Students compare and analyse information in different and complex texts, explaining literal and implied meaning. They select and use evidence from a text to explain their response to it. They listen to discussions, clarifying content and challenging others’ ideas. Students create detailed texts elaborating on key ideas for a range of purposes and audiences. They make presentations and contribute actively to class and group discussions, using a variety of strategies for effect. Relevant parts of Year 6 HASS achievement standards: Describe the rights and responsibilities of Australian citizens and the obligations they may have as global citizens. Students recognise why choices about the allocation of resources involve trade-offs. Resources required: Student Worksheet – one copy per student OR enough computers/tablets to access the online worksheet, to conduct online search and to create presentation. Web Research Planning Tool (one per group), Bee-friendly Action Description Template, Hive of Reflection print-out. Blue, yellow and orange textas. 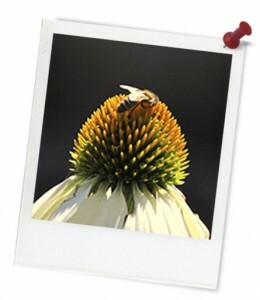 Keywords: bee, sustainability, bee friendly, research food, consumption, biodiversity. Overarching learning goal: Students will be able to conduct a well-planned internet search, and choose appropriate information to respond to a research question. Students will be able to summarise information they find about bee friendly actions and suggest approaches that every person can take to ensure that bees can survive and continue to play a vital role in sustaining our ecosystems. 1. What are your favourite 'bee-friendly' strategies? 2. Which do you think you could implement at school/home?